NEW YORK -- A livery cab driver who shot himself to death outside New York's City Hall on Monday had posted on Facebook hours earlier that politicians had destroyed "a once thriving industry" and driven him to financial ruin. 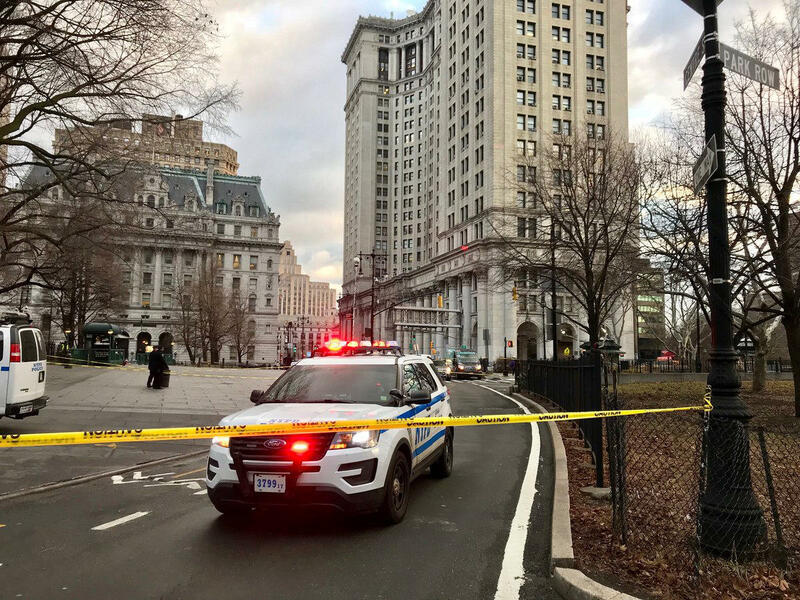 Douglas Schifter, 61, drove up to the east gate of City Hall on Monday morning and shot himself in the head while sitting in his car, police said. He died at the scene. No one else was injured. In his Facebook posting, and in previous columns in the industry newsletter Black Car News, Schifter had decried the transformation of New York City's taxi industry in recent years. Major changes include the introduction of ride hailing services like Uber and Lyft, which now outnumber the city's iconic yellow cabs, an expansion of taxi service outside of Manhattan, and a proliferation of the number of drivers. "I worked 100-120 consecutive hours almost every week for the past fourteen plus years," Schifter wrote. "When the industry started in 1981, I averaged 40-50 hours. I cannot survive any longer with working 120 hours! I am not a Slave and I refuse to be one." "Due to the huge numbers of cars available with desperate drivers trying to feed their families they squeeze rates to below operating costs and force professionals like me out of business," he wrote. "They count their money and we are driven down into the streets we drive becoming homeless and hungry. I will not be a slave working for chump change. I would rather be dead." "There are over 100,000 of us suffering daily now," he said. "It is the new slavery." Taxi and Limousine records show that Schifter had driven livery cabs, black cars and limousines since the early 1980s. Schifter shot himself a few paces from one of the main security checkpoints for people entering City Hall. Neil Weiss, the editor of Black Car News, said Schifter had struggled financially and was living with extended family in Pennsylvania. "There's been a lot of changes in the transportation industry in New York City over the past bunch of years and not for the better," said Weiss, who said he last communicated with Schifter about a week ago. "I was hoping he was getting things together." Not all of Schifter's social media posts were about the taxi industry. He posted on Facebook last week about "the realization of an incredible psychic gift" that was "enabling knowledge to come to me that tells me things are so with a palpable feeling that tells me this is truth." He also said in his post on Monday he believed America is "under attack by Russia," adding: "They do not need weapons. They bought their influence." A livery cab drivers' group held a vigil Tuesday evening, CBS New York reports. The vigil, held by the Independent Drivers Guild, took place at City Hall. "This isn't the first person who has lost their life because of this industry, and we're pleading with the Taxi and Limousine Commission, Mayor de Blasio, Governor Cuomo and State elected officials to help us make it the last," the guild said in a statement. The Taxi and Limousine Commission also issued a statement mourning Schifter's loss and expressing concerns with the effects of changes in the industry. "As we have frequently acknowledged, with 50,000 more drivers and the same number of additional vehicles over the last four years, there is a clear oversaturation of the for-hire market. We understand that many of our licensees have been under tremendous pressure due to this onslaught of competition from app-dispatched services. While the passenger 'pie' has grown, this growth is finite," TLC Commissioner Meera Joshi said in the statement.